Space Barn Residence - Hugh Lofting Timber Framing Inc. 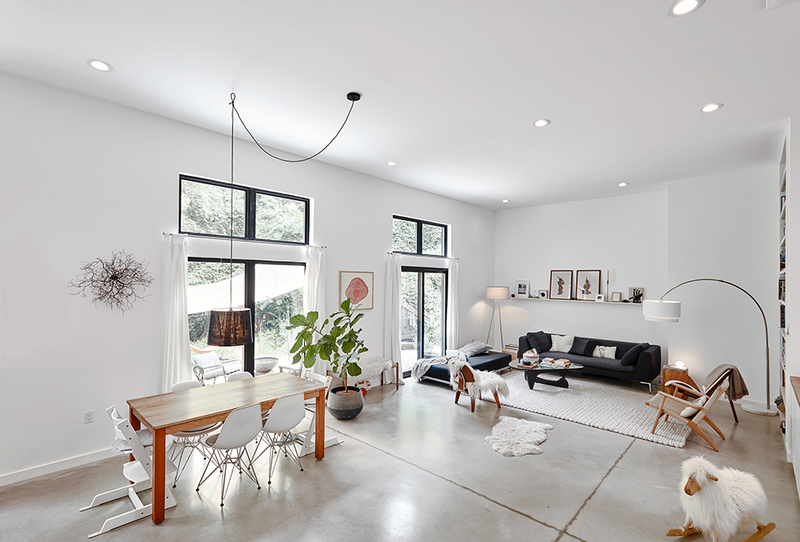 Designed to meet Passive House standards, the Space Barn is a high-performance contemporary single-family home modeled after a utilitarian barn. 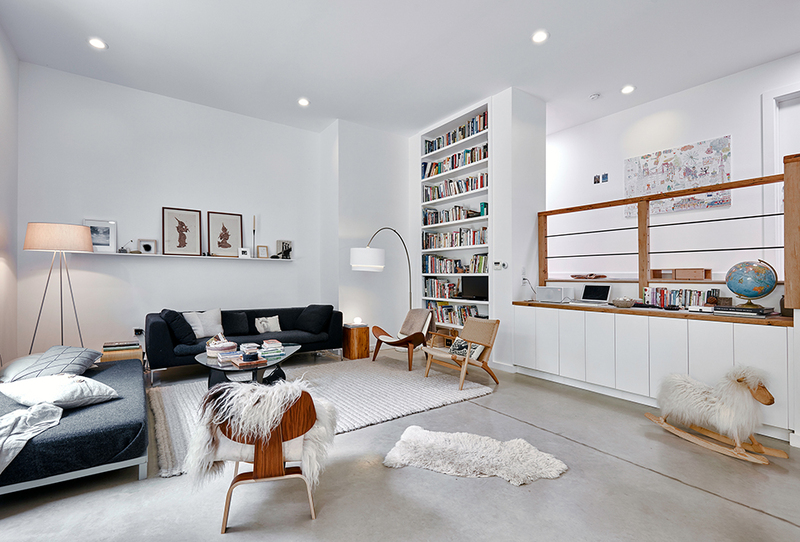 The 1.5-story rectangular volume features bright open-plan interiors. The house connects to its surrounding outdoor spaces via multiple sets of slider doors with matching clerestories. 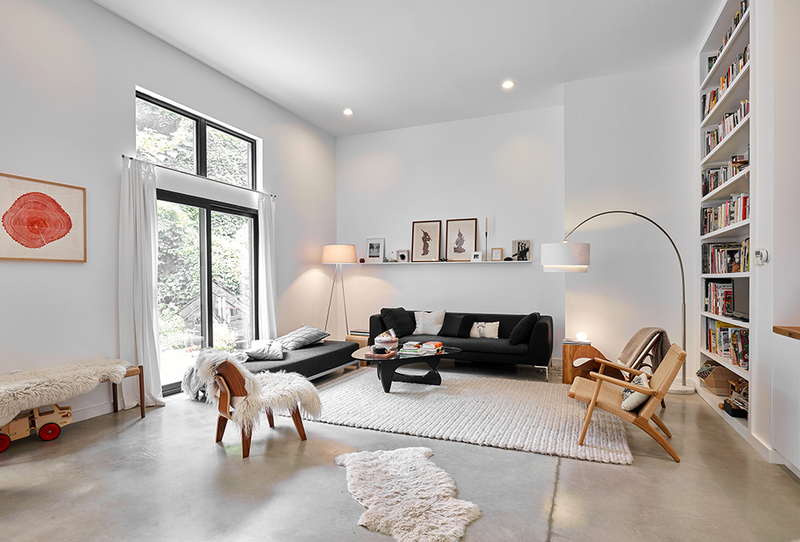 Flooring of finished concrete pairs with white walls and wood accents. Hugh Lofting provided construction management and construction for the house, which incorporates 2×6 framing with dense-packed cellulose insulation, zip sheathing with a weather resistant barrier (WRB), and an insulated concrete form (ICF) foundation with 4 inches of under-slab insulation. The assemblies include ¾-inch battens for a rainscreen exterior. 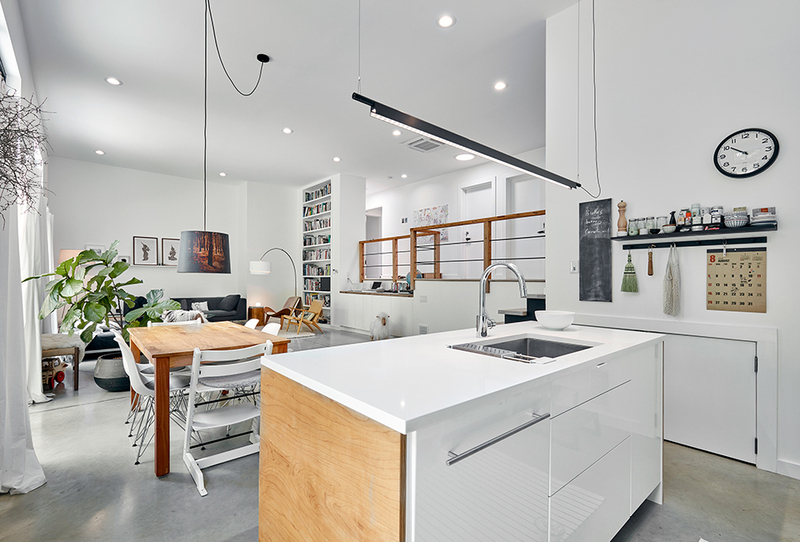 Thermal-bridge-free construction, high performance windows and doors, and energy recovery ventilation (ERV) for 24-hour heat-exchange ventilation combine for an extremely energy efficient and comfortable interior that stays cooler in summer and warmer in winter. 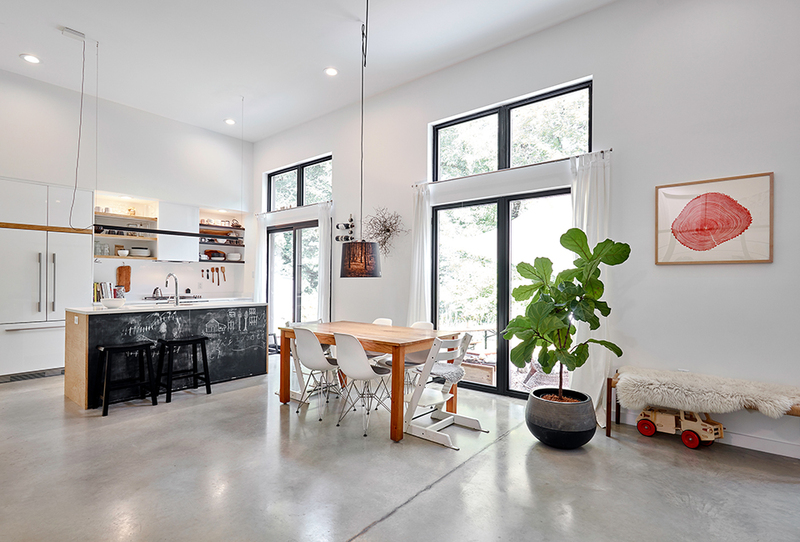 Although not Passive House certified, the home was blower-door tested and achieved a score of 0.54 ACH50. Many of our clients are very involved in design and construction decision-making, but this project reached a new high in hands-on involvement. 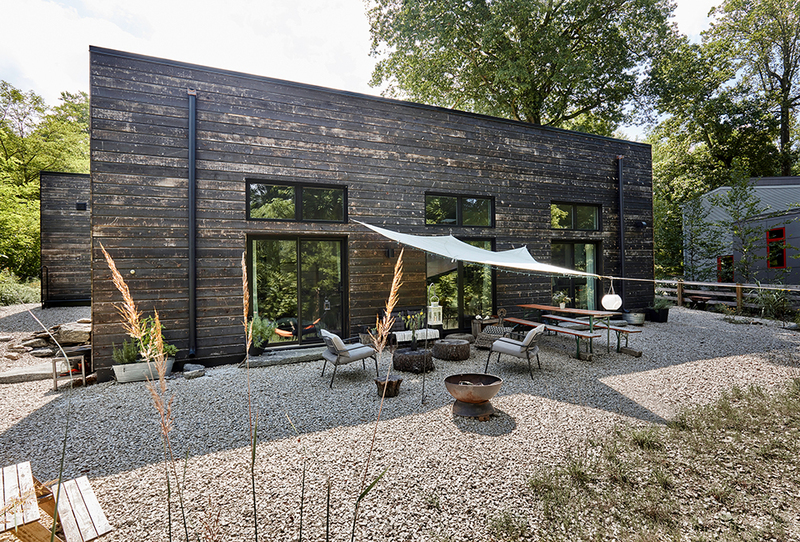 When the homeowners discovered the Japanese technique of Shou-sugi-ban – a method of charring wood both to preserve it and to provide a dramatic blackened appearance – the entire design and construction team got on board. Together, teammates from Hugh Lofting, C2, and the homeowners personally charred each piece of knotty cedar siding. 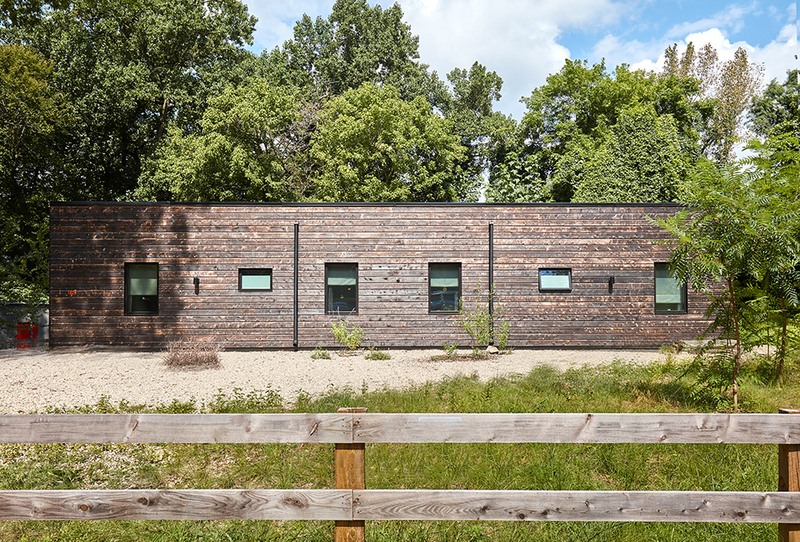 The horizontal siding gives the Space Barn its dramatic look.